Eirtech Aviation Services, headquartered at Shannon Airport in Ireland, has established a new Composites Repair Centre, Eirtech Aviation Composites in Northern Ireland and says it plans to recruit 124 new jobs over the next four years. The manufacturing, repair and overhaul business offers a range of professional aviation services to customers globally. The new facility in Belfast offers Eirtech’s customers a centre located in the UK that repairs composite parts on commercial aircraft. 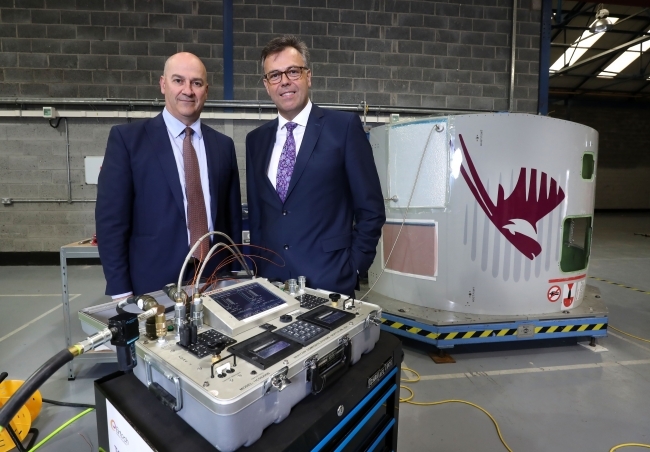 Announcing the investment, Invest Northern Ireland CEO Alastair Hamilton said: “Northern Ireland is a global leader in aerospace technology and this investment by Eirtech adds a welcome new dynamic to our vibrant aerospace industry. Eirtech Aviation Composites will offer the repair and overhaul of composite components on commercial aircraft including flight controls, nacelles, wing to body faring and overhead bins. Speaking about its new Belfast-based repair centre, David Kerr, CEO of Eirtech Aviation Composites, said: “The growing use of composite materials in aircraft manufacture creates a huge market opportunity for us in the global aviation sector. “Northern Ireland has an abundance of people with world-class manufacturing capabilities, a strong aerospace cluster and renowned expertise in composites at NIACE and Ulster University, making it an ideal location for our UK Composite Repair Centre.